I accidentally spotted this in Litt Tak Sg. 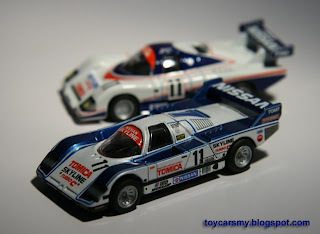 Wang, Tomica Group C Car box set. 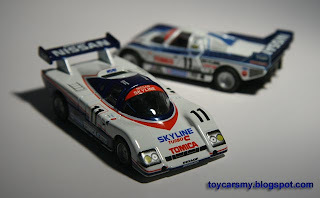 The box packaged with 2 Tomica Limited Nissan Skyline in the Group C race back to year 1984 and 1985. 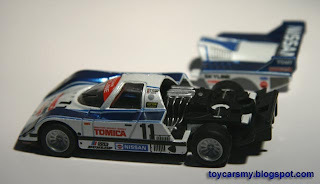 Both models are superb detailed, especially the 84 Skyline could detach its engine cover. 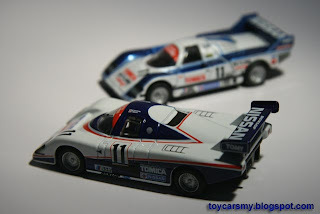 BTW, may I know the price of Tomica Limited Edition in Malaysia? In Between RM16.90 and 19.90 depending on the models.